Fast, Secure and Managed Hosting Solutions that safeguard your Privacy. One of the strictest privacy laws in Europe and our continued commitment to protecting online businesses has made us the top choice for thousands of satisfied customers. Our systems make your web-sites always available and loading blazing fast. We guarantee fast and reliable service. Our hosting experts are always there for you to keep this promise. No delays, No excuses! You will be totally amazed with our services! The safety and privacy of your business is our top priority. We have put an extensive legal and technical systems in place to guarantee that you will never be compromised. Our friendly team of hosting experts are always here to help you. When we say 24/7, we mean it. Holidays, day or night, we will never let you down! We understand that your business and your site depend on constant availability. Every minute of downtime is a minute too much. We guarantee 99.9% SLA uptime. It is a promise! All of our services are fully managed. That means we will help you around the clock with everything you may need. We configure, optimize and secure your server to ensure the best possible performance, safety and privacy. With over 2000 Gbps (2 Tbps) of internet capacity, we can handle any attack, no matter the size or duration. With strategically placed scrubbing centers across Europe, powered by the Corero Smartwall technology, your server will remain online, no matter what. We stand behind our quality of service. We provide 30 days money back guarantee NO QUESTIONS ASKED! If you are moving hosts we will handle the migration! Are you currently with another host? No worries, we will migrate everything for you: no downtime, no problems, no fuss! All of your data, including files, databases, emails, configurations and everything else will be migrated safely to us. We will handle absolutely everything, even multiple websites or large infrastructures. "My company has been using KnownSRV services to serve Counter Strike downloads to our clients all around the world for over 4 years now. We have always been very satisfied with quality bandwidth KnownSRV provides and fast download speed we get from KnownSRV. Network is top notch and support is always here when needed and willing to help in every case." 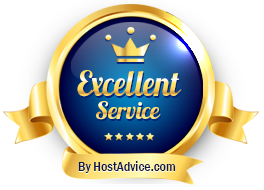 "We are a digital agency and we have been using KnownSRV Hosting Services from day we had a single shared hosting. 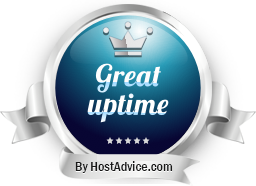 Then we scaled to a VPS and now we have several dedicated servers for our client websites. KnownSRV's services have been outstanding. Our sites are always fast and online. KnownSRV support team is extremely helpful and they have never let us down, no matter what the issue was." "We run the biggest gaming portal in the EX-YU area. We have several dedicated servers at KnownSRV which run perfectly. Like any other gaming portal, DDoS attacks are our biggest issue but KnownSRV is always there to help out during DDoS attacks we get. Never got tired from applying patches for us to filter out latest bypasses and keep us up and running!" Protect your Online Business Now! You've questions or need assistance? Get in touch with our friendly support for more information.